The corporate design for Deutsche Stimmklinik in Hamburg was inspired by the idea of human fingerprints. Since the human voice is equally unique and individual, it can be transformed, by means of an especially developed matrix, into the visual form of a voiceprint. Each patient’s voice undergoes a quantitative sound analysis that captures it in a multidimensional voice profile. 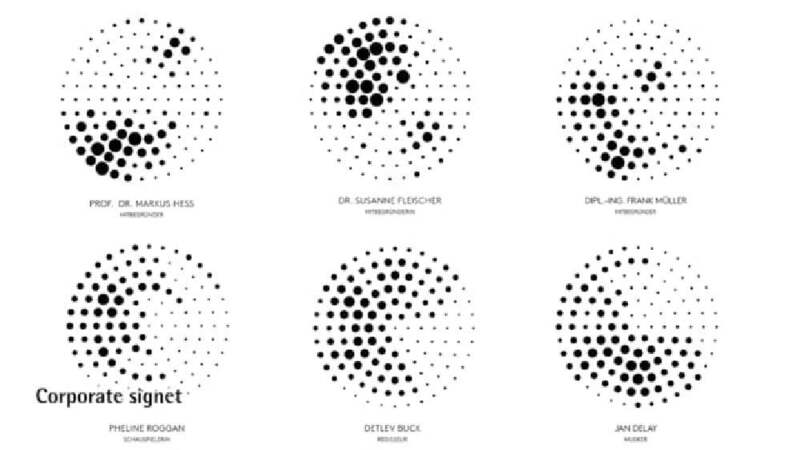 The resulting spectral order is then divided into frequency partitions and distributed across diverse spectral lines, transforming the distribution into a graphic code that allows the visual identification of various voiceprints and thus of each single patient. The corresponding brand image is aimed at establishing a link between medicine and design: it visualises the ­human voice in an abstract form, such as that of the founder and initiator of the clinic in the logo, and conveys the message in a clear and highly concise form. The uniqueness of the voice, which all individuals possess analogous to their fingerprints, is translated by this design work into a stylistically outstanding logo. It is a mark of concision that a clinic takes such an approach for a visible identity to be made out of a highly specific acoustic procedure. In addition, the aesthetics in simple black and white is strong, clean and, above all, clever.